يشكل فندق Broadwater Mariner Resort Geraldton بموقعه الممتاز في قلب Beresford نقطة انطلاق ممتازة لاستكشاف جيرالدتون. إن موقعه الجيد الذي يبعد فقط عن مركز المدينة يساعد النزلاء على الاستمتاع بمعالم المدينة ونشاطاتها. كما يمكن الوصول بسهولة إلى Geraldton Platform Markets, ياماتجي, ويسترن استراليا. استمتع بالخدمات الراقية والضيافة التي لا مثيل لها بهذا الفندق في جيرالدتون. تتضمن الميزات الرئيسية في هذا الفندق: خدمة غسيل ذاتية, مرافق مخصصة لذوي الاحتياجات الخاصة, تخزين الأمتعة, صف السيارات, غرفة عائلية. في الفندق غرف نوم يتجاوز عددها ، كلها مجهزة بعناية وجمال وبعضها مزود بـ تلفزيون بشاشة مسطحة, غرف لغير المدخنين, مكيف هواء, تدفئة, مكتب. صممت خدمات الاستجمام في الفندق والتي تتضمن حمام سباحة خارجي لمساعدتك على الاسترخاء والراحة. مهما كانت دواعي سفرك فإن Broadwater Mariner Resort Geraldton هو خيار ممتاز لإقامتك في جيرالدتون. مكتب الاستقبال مفتوح من الساعة 07:00 صباحاً إلى 10:00 مساءً. يجب على النزلاء الذين سيصلون في وقتٍ آخر غير الأوقات المذكورة أن يتصلوا بالعقار مباشرةً قبيل وصولهم؛ وذلك حتى يمكن إجراء ترتيبات بديلة. We stayed here for the easter long weekend. Very friendly staff. Quick check in and check out. We were very suprised with our 2 story apartment. Very modern and fresh. We had beach views. The only thing i can pick is we found a dirty bowl that had been put in cupboard, empty sugar sachets in the jar and that they dont clean it on public holidays (we stayed for 6 days and no clean) but we were told to ring for clean towels. The pool and spa is great. Plenty of aircon, in every room. Will stay there again. 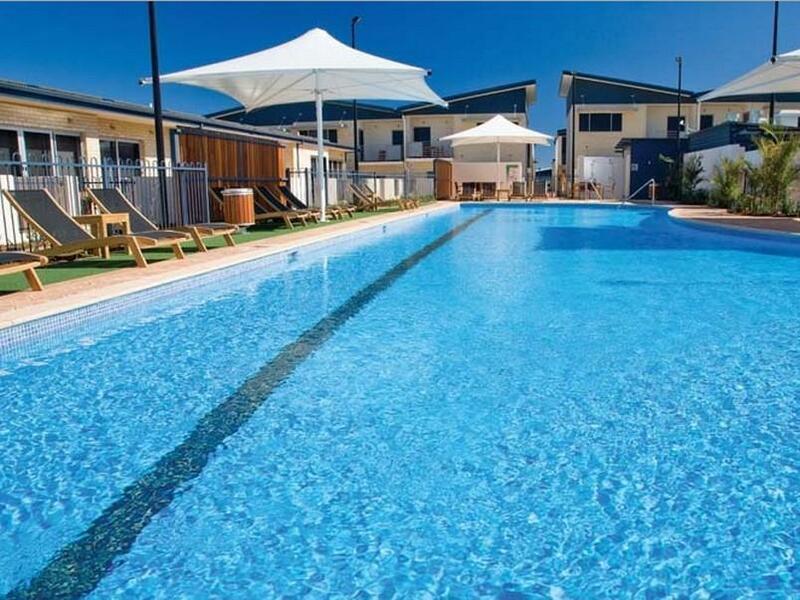 We all loved our stay at Broadwater Mariner so much we wished we could stay longer instead of just 1 night, a far cry from our 2 nights stay at Kalbarri Beach Resort. The rooms were stylishly furnished and spacious and the beds were really comfortable. We came here for business purposes and we had stayed at Broadwater before so we are staying here again because the place is great. It was a great experience staying here. Check in was quick which is very important due to our busy schedule. A few restaurants around just walking distance from the resort. The staffs were very friendly and attentive. The room was in superb condition! It is very modern and minimalistic, large bathroom and room with its own kitchenette and dining table. It is quite a generous size for a Studio Apartment. The resort is also very good in keeping the serene environment throughout as it is quiet at night and we were able to get a good rest. It was a great experience staying here and I am sure when the next time we are in Geraldton, this would be our first choice accommodation. We came for a business trip so we would like somewhere central and easy to find something to eat. This resort is really good cause it is very quiet so we get a good night sleep after a busy day. The restaurant (L'atitude 28) is just beside the hotel and it is very convenient. The staffs are very friendly and the room is in superb condition, clean and very modern. Next time we go to Geraldton, we will definitely come back to this hotel again. Pleasant place to stay in Geraldton. Little further out of town so you need your own transport ... Comfortable bed Hotel staff are always welcoming and attentitive. The location is great. The restaurants and bars are great... If you want somewhere to just hang all day by the pool. This is not the place for you. But if you are in Bkk for shopping eating and clubs it's the spot! I felt the setup of our room was not comfortable as far as position of TV you could not watch it from bed. One woman was checking us in and doing laundry and cleaning of rooms etc, etc. Not very professional setup. We belong to APVClub and are very impressed with their service and facilities. Broadwater was ok for a one night stopover. Lovely stay. Staff are very accommodating and let us check in early as we had a wedding to attend an needed to be able to get ready. Beautiful and clean room and bathroom. Comfortable bed and the pool looked beautiful but unfortunately with our stay being so busy we didn’t get to use it. Would definitely stay again! We were a party of 2 couples with a child and we were pleasantly surprised with the pristine condition of the 3 bedroom apartment from the moment we stepped in. There was 1 bedroom downstairs with attached bathroom and small living area. Upstairs was 2 bedrooms sharing 1 bathroom and a separate toilet with a living and dining area. The room arrangement was perfect as it gave us privacy although sharing the same apartment. This is easily the best accommodation we had during our 10 days holidays in WA. If only they had provided more than the single box of tissue for the whole apartment as well as a dish drainer, then I would have called it perfect! We thoroughly enjoyed our break. Although there was no food outlet at the resort we ate dinner every night next door at L'Attitude28, and despite what you might read on Urbanspoon, we both enjoyed our meals and service every night. Only downside is they only open for breakfast one day a week...Sunday. The pool and spa we didn't use while there but they did look clean and inviting and they are apparently heated too. The rooms maybe should be serviced daily for the price, when compared to a hotel we stayed at in Melbourne in the CBD which was cheaper per night. But would stay there again! We enjoyed our stay in the 2 bed apartment for 4 people. The full kitchen comes with quality utensils which was nice and the apartment is well equipped for a comfortable stay. There is only 1 bathroom and 1 toilet in the apartment so a bit of planning required to use these. This is my second time staying here on a business trip. The check in and out was quick and no fuss. Staffs are friendly, room is as always clean and massive. I love that about this resort that you feel like home since you could cook and easily make yourself at home even though the decor is very minimalistic but it's got character. Since it is a business trip, I do appreciate the quiet surroundings, I managed to get a very good night sleep and relax by the pool at night. I love everything that this resort has to offer and would definitely come back here on another trip! Excellent stay. Staff member who was on duty at 9pm on Friday night was EXCELLENT. Very quick reponse when assistance was required and followed up with once once our request had been fulfilled. Staff were very helpful with providing assistance regarding restaurants and other things in town. The hotel also providied an excellent variety of information about things on during that weekend in Geraldton including a A4 sheet providing an update of specific events for that particular weekend. I thought this was an excellent idea. Worst problem was everything in Geraldton was closed on Sunday, but you can hardly blame the hotel for this. It was a business trip this time around. I always stay at this resort when I go to Geraldton. Quick check in , clean rooms...self catering. Walking distance to restaurant, Bottle shop close too. Short drive into town , could walk , it would take between 10 and 20 minutes. 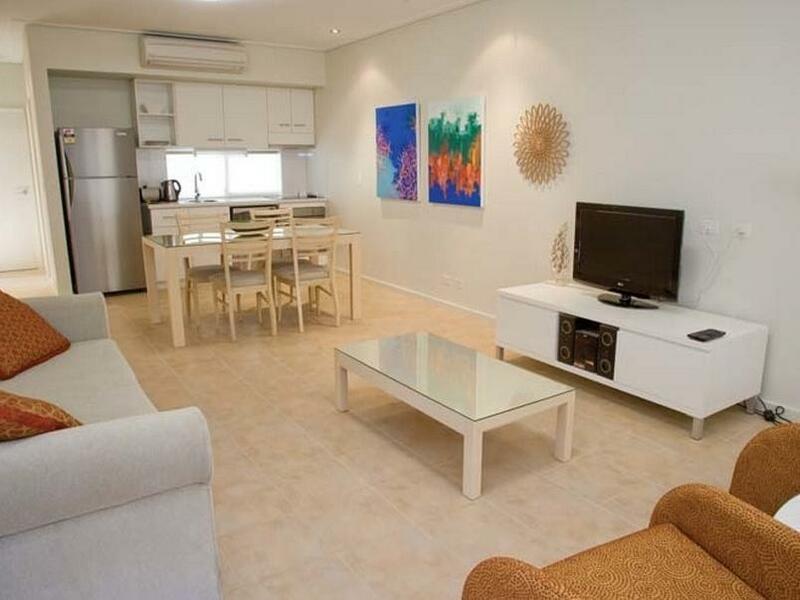 Best place to stay in Geraldton, family holiday or business. 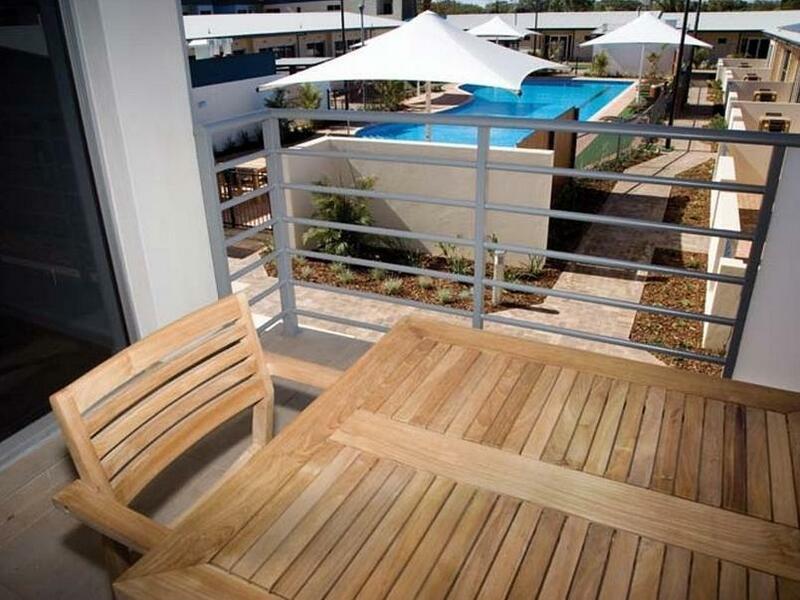 Great self contained Suites with onsite secure parking. 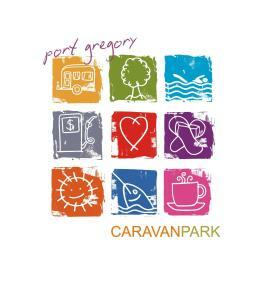 Virtually on the beach and a short 5 min drive to the city centre. 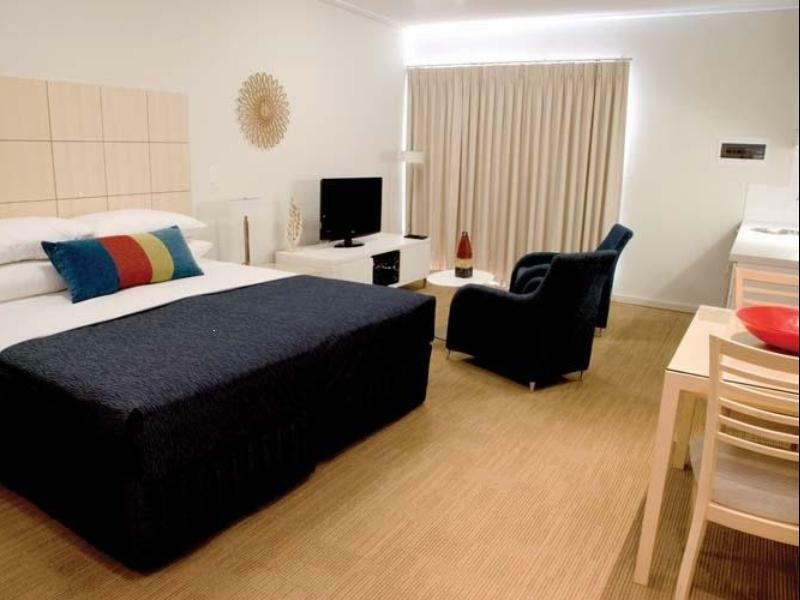 Versatile suite was well suited for a business traveller or a couple travelling. Breakfast selection was limited but not an issue as good restaurants are near by. I would recommend to any single or couple travelling here and I will stay again in future.